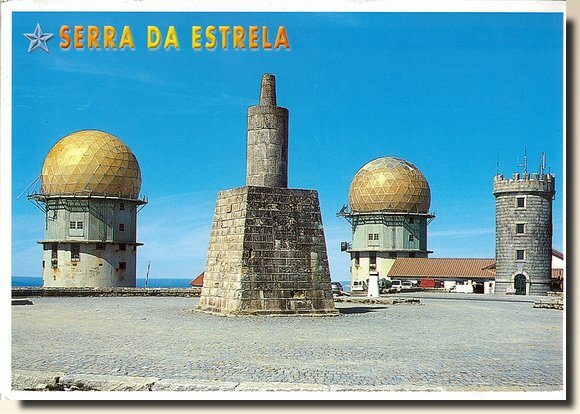 Serra da Estrela (English: Mountain Range of the Star) is the highest mountain range in Portugal and includes mainland Portugal's highest point (the summit of the Pico mountain in the Portuguese Azores islands is higher, however). The range is at 1,993 m (6,539 ft) above mean sea level at its highest point. This point is not a distinctive mountain summit, but rather the highest point in a plateau, being known as Torre ("Tower" in English). The Torre has the unusual feature of being a summit that is accessible by paved road.